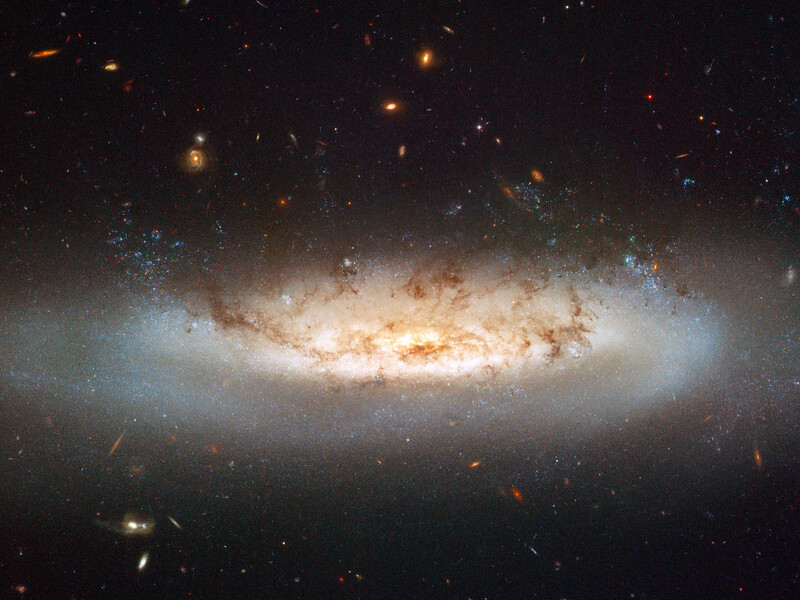 Hubble's Advanced Camera for Surveys (ACS) allows astronomers to study an interesting and important phenomenon called ram pressure stripping that is so powerful, it is capable of mangling galaxies and even halting their star formation. NGC 4522 is a spectacular example of a spiral galaxy that is currently being stripped of its gas content. The galaxy is part of the Virgo galaxy cluster and its rapid motion within the cluster results in strong winds across the galaxy as the gas within is left behind. 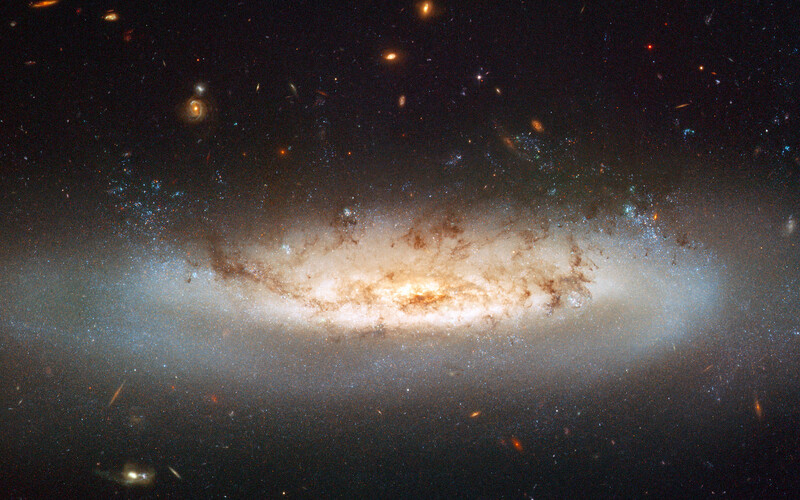 Scientists estimate that the galaxy is moving at more than 10 million kilometres per hour. A number of newly formed star clusters that developed in the stripped gas can be seen in the Hubble image. 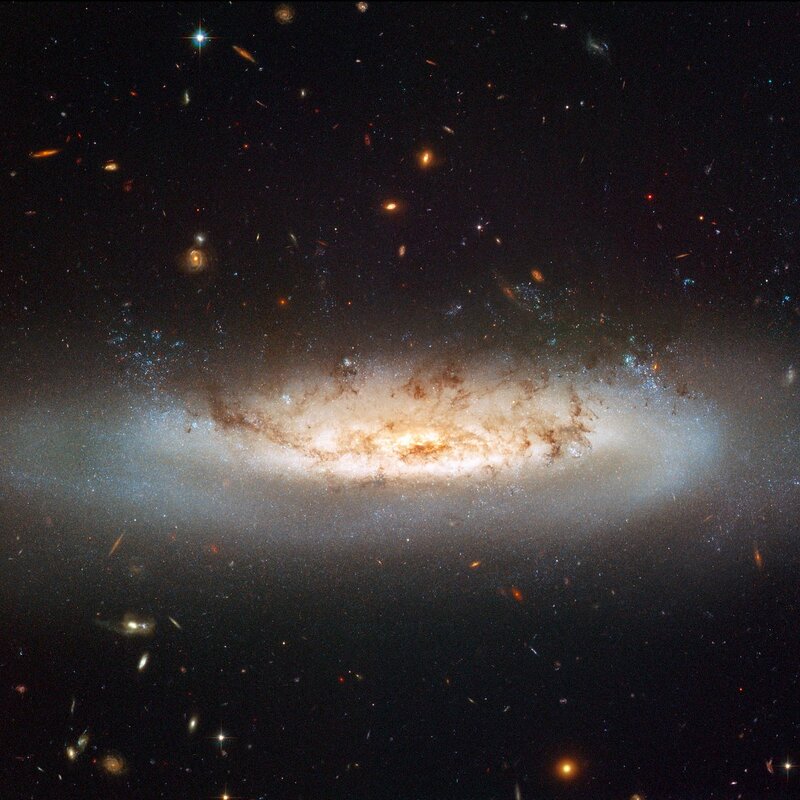 The stripped spiral galaxy is located some 60 million light-years away from Earth. Even though it is a still image, Hubble's view of NGC 4522 practically swirls off the page with apparent movement. It highlights the dramatic state of the galaxy with an especially vivid view of the ghostly gas being forced out of it. Bright blue pockets of new star formation can be seen to the right and left of centre. Position (Dec): 9° 10' 36.12"